It was good! 3.5/5. The movie was well put together. It’s important to recap the developments over the past 10 years. Which is the same about of time I’ve had my consulting business Renew and Sustain. The success of the Paris Agreement is a global milestone. This future also is best expressed in economics. Which deserves a larger discussion. The movie discussed Hurricane Sandy. The storm cost NYC $19 Million. Since then policies have been put in place to reduce future losses. This is Resiliency. Rebounding from and planning for known events. I.E. a warming environment, larger storms, and prolonged droughts. The major justification for this is cost and loss of life. 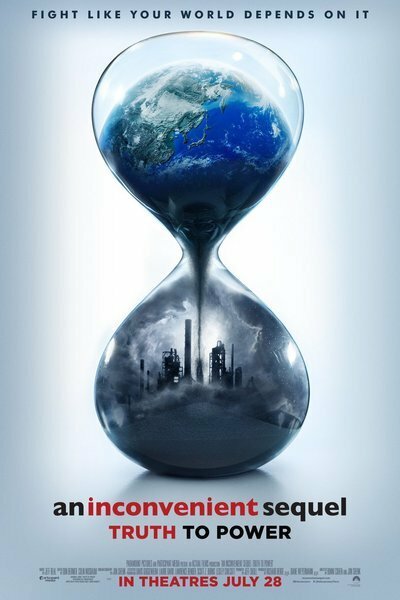 The movie touched on cities that have converted to 100% Renewable energy. Some great work is being completed by cities. San Francisco is moving towards Zero Waste. Efforts by C40 cities could be better communicated. C40 is a network of the world’s megacities committed to addressing climate change. Acting both locally and collaboratively, C40 cities are having a meaningful global impact in reducing both greenhouse gas emissions and climate risks. I worked in DC (a C40 city) while we implemented a Smart Roof Program. Successfully integrating roof assets and energy management projects to reduce energy use by 20 percent. The strategic approach to portfolio-based roof management is being applied to 435 buildings that make up 321 acres of roof area in D.C. The movie could have emphasized job growth and creation more. The solar and wind industries are each creating jobs at a rate 12 times faster than that of the rest of the U.S. economy. In 2016, solar was creating U.S. jobs at 17 times the rate of the national economy, rising to more than 260,000 jobs in the U.S. solar industry today. In the U.S. wind industry, now with over 100,000 jobs. The movie didn’t discuss in great detail the cost reduction of these technologies in the last ten years. LEDs, wind, solar, and batteries more affordable than ever. This is all key to the success of the Climate Movement. But more importantly, the economy. The movie was good. As with other videos and documentaries on the topic, there seems to always be a greater focus on the problem. I want to walk away with knowledge of the things we are doing to effect change and the things I can do. I want to see Climate films focus 95 to 99% on solutions, not the problem. 3.5/5 Stars. We are making a difference and we can do more!